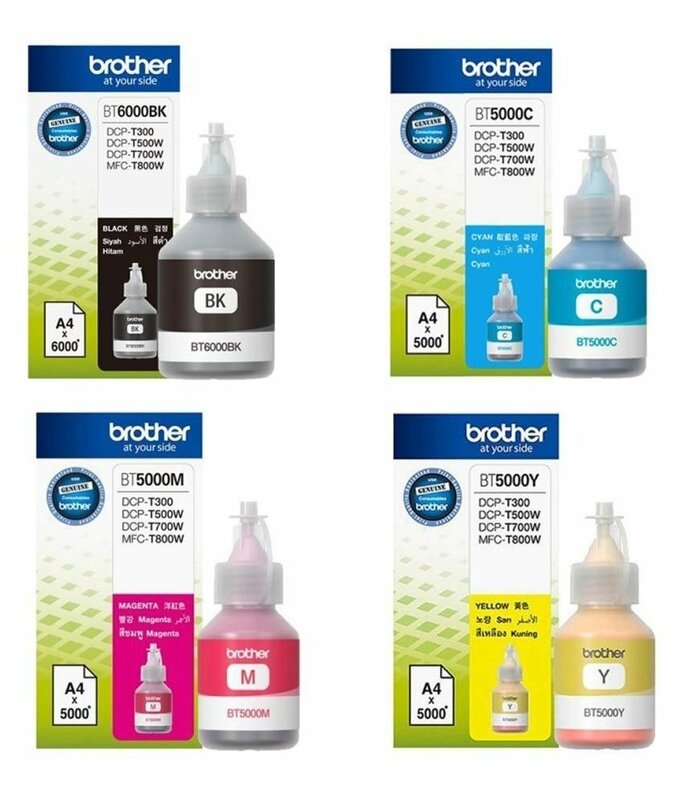 (1) Botella Brother BT5001C cyan. (1) Botella Brother BT5001M magenta. (1) Botella Brother BT5001Y amarillo. DCP-T300W - DCP-T500W - DCP-T700W - MFC-T800W.